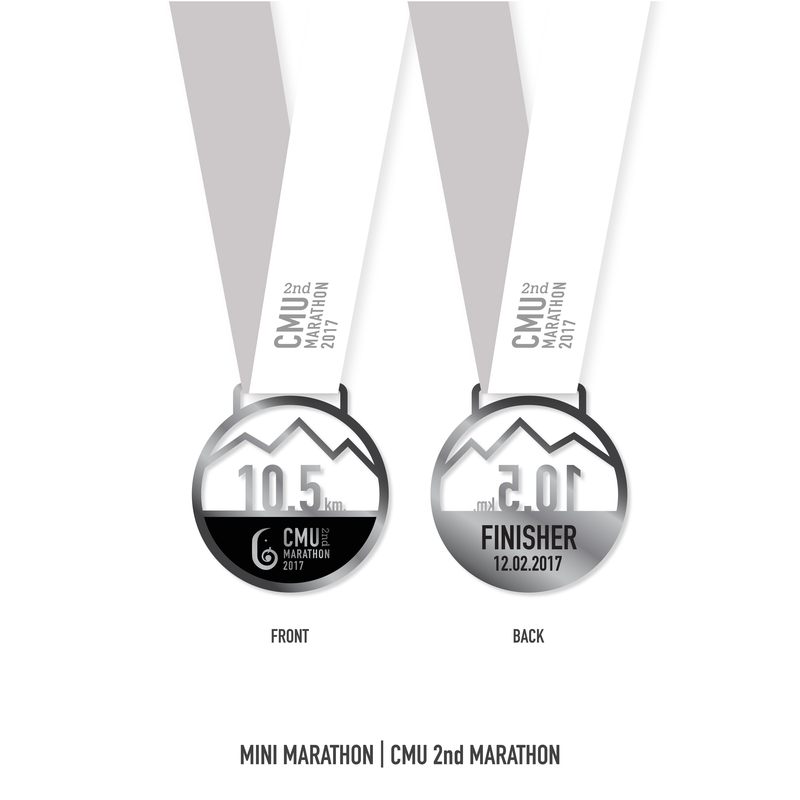 The 2nd CMU MARATHON medal is designed based on 3 concepts. Firstly, it represents the pride of every single runner whose success is derived from his or her hard training for each marathon race. Secondly, it is lightweight because we understand that after long running, the model which is lighter in weight could ease the tiredness each runner may have. Lastly, it represents Chiang Mai city in different views. A distance is the pride of the runners themselves. Then we try to make it transparent to reduce some weight. The wave line symbolizes mountain (or heart rate graph, depending on individual’s interpretation) and such pattern is also not a difficult technique for the production. 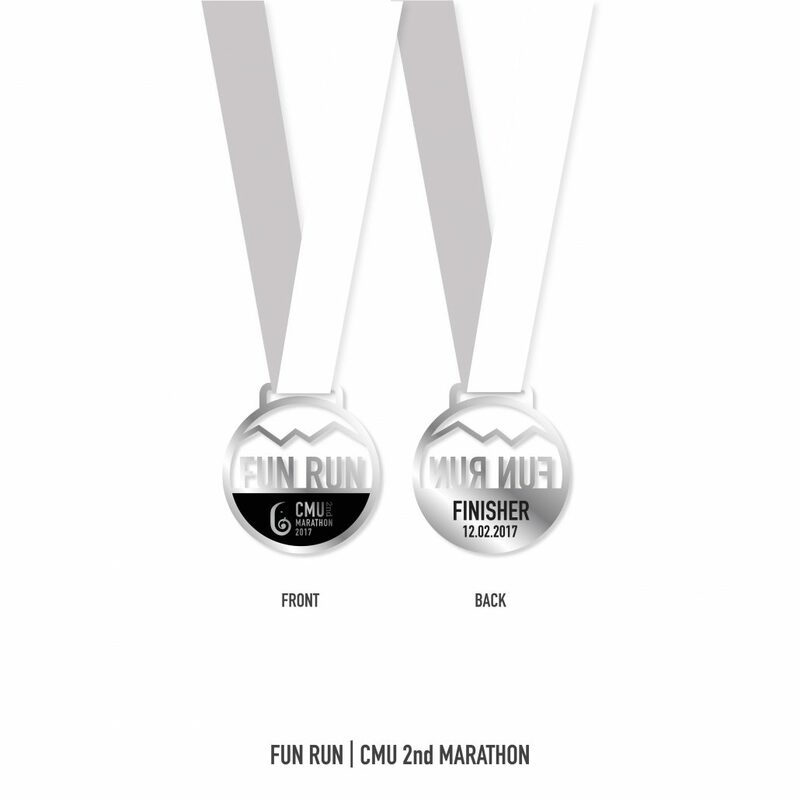 Moreover, the runners can see through the transparent medal to capture any scenic backgrounds they desire for photo shoot. Note: The elephant logo on the medal is designed by the marathon organizer. We solely are responsible for choosing letters to make the LOGOTYPE for the name of the marathon.